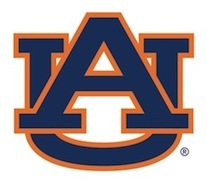 Join the Greater New York Chapter at The Ainsworth for the Iron Bowl as Alabama and Auburn meet in one of college football's most storied rivalries. Kickoff is TBD. One of the best sports bars in the Big Apple, The Ainsworth features 40 HD televisions and a state-of-the-art sound system. The Ainsworth will make every effort to accommodate all table reservation requests with those from dues-paying UANYC members receiving first priority. Reservation confirmations will be sent via e-mail on Friday, November 25.